LNG and LPG carrier tanks hold both a source of income and a potential source of danger. To avert the danger, inert gas systems (IGS) have been required on all new tankers over 20,000 dwt since 1978 — a move that has surely saved untold lives. 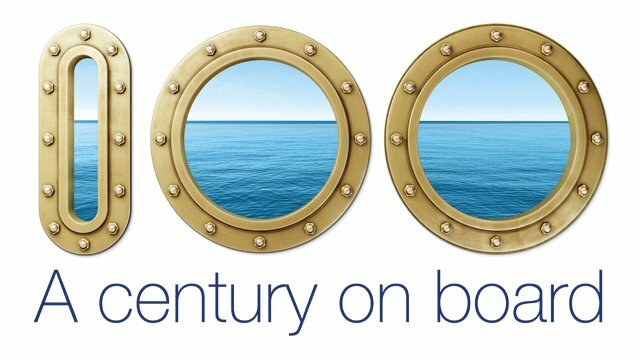 Yet with increasing demand, tighter delivery schedules, the constant need to optimize onboard footprints and numerous other factors, Alfa Laval believes IGS should go beyond fire safety to protect against other disasters that chisel away at the potential income for both shipyards and ship owners. As demand for LNG increases, a significant upturn is expected in newbuild contracts for LNG carriers over 40,000 cubic metres during the next five years. To remain competitive, it is increasingly important for shipyards to streamline both budget and timing while still delivering high-quality vessels that offer ship owners safe, reliable and profitable operation. 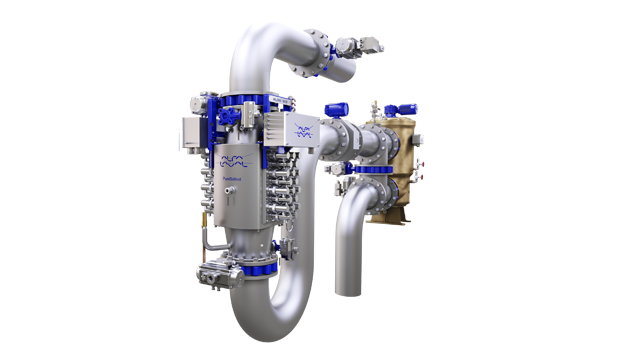 In anticipation of this, Alfa Laval is now releasing the next generation of the Smit inert gas system for LNG and LPG carriers. LNG and LPG carriers require very dry inert gas, making the inert gas systems installed on these tankers the most complex. Alfa Laval has spent decades optimizing cargo safety under the Smit Gas name, delivering the first IGS for an LNG tanker in 1971. Today Alfa Laval is the leading supplier for the low-pressure, low-dew-point inert gas generators typically used on LNG and LPG carriers. By taking a holistic view of IGS form and function, Alfa Laval aims to make a deeper difference for the bottom line with the new Alfa Laval Smit LNG/LPG. Alfa Laval Smit LNG/LPG inert gas systems are constructed with a new, unique modular design comprising four main components: generator, cooler, chiller and dryer unit. This modular design allows tailored deliveries to shipyards to meet individual building demands. By using water as an intermittent heat transfer medium between chiller and cooler, a stable heat transfer is created under all load conditions. The dryer unit is redundant and provides additional security. The cooler, which has gas contact surfaces of SUS 316 for lifetime service, takes up minimal space due to the low-temperature output of the generator. Smit LNG/LPG also takes advantage of Alfa Laval’s new 2Touch controller, which makes any aspect of the system available in just two touches of the screen. As well as offering a graphical overview of the system, it provides quick access to functions and data. Using the comprehensive data at its disposal, Alfa Laval Touch Control ensures thorough system optimization. Naturally, it integrates seamlessly with other Alfa Laval automation systems and connects easily to ship control and communication. All components for Smit LNG/LPG are engineered by Alfa Laval and manufactured at an Alfa Laval production facility that meets strict QA/QC standards, thereby safeguarding high product quality. At the heart of the system is Alfa Laval’s unique Ultramizing® combustion system, assuring low-oxygen-level inert gas without any soot formation. Oil is atomized in an ultra-fine dispersion pattern with steam assist, resulting in reduced NOx output. The system utilizes a highly efficient, two-stage oil/air mixing technique which yields inert gas with 1% oxygen content possible and zero soot formation. 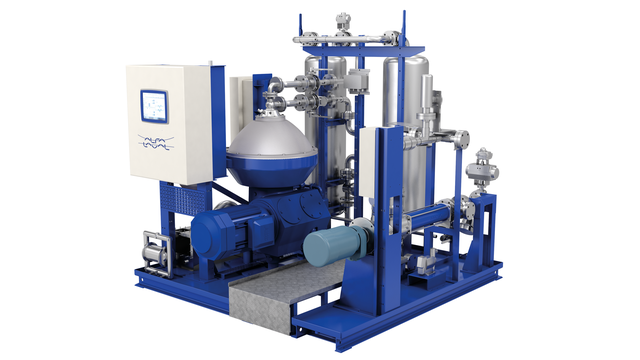 Besides safe combustion, the Ultramizing® burner design meets Alfa Laval’s strict requirement for low emissions, as well as excellent operation during its entire life cycle. Horizontal installation also allows for easy maintenance, although maintenance is seldom required. With the largest installed base in the world for inert gas systems, Alfa Laval has always prioritized fast turnaround time for both sales and service, offering a global network of experts. The new-generation Smit LNG/LPG inert gas system gives the assurance of that reliable network, with a focus on being in place as needs change for LNG/LPG. For shipyards, Alfa Laval has strategically placed local sales support and production facilities worldwide specifically to meet the growing demand for LNG and LPG systems. That means quicker quotations, streamlined order handling and just-in-time delivery. Training is conveniently available on board or at customer-specified locations. In-house operator training is also available in Alfa Laval’s facilities in the Netherlands. 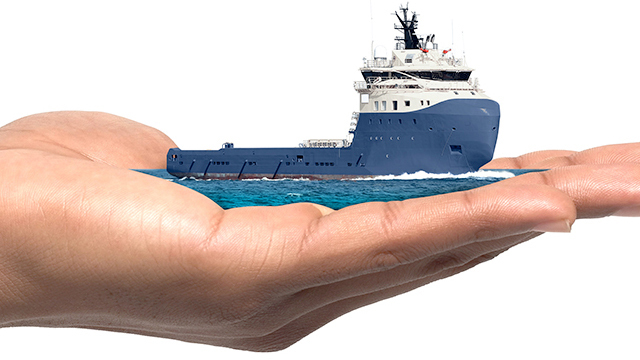 From the time of commissioning and initial training, Alfa Laval continues to stay in close contact with ship owners and operators worldwide. Alfa Laval supplies OEM spare parts and carries out inspections, service, repairs, retrofits and upgrades on all their inert gas systems anytime, anywhere. With over 4,200 systems supplied, Smit Gas has the largest installed base in IGS in maritime today. Now, the new-generation Smit inert gas system is poised to make an even deeper difference for the LNG and LPG tanker industry. The reason is that Alfa Laval manages to focus on important features and services which all build on each other to achieve a common goal: more profitable operation with the utmost safety.